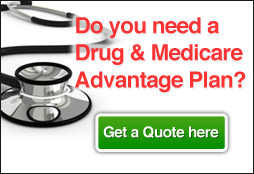 Ever heard of a Medicare Medical Savings Account plan? Gain more control over your healthcare with the Lasso Healthcare MSA. Our $0 premium plan combines high-deductible health coverage with a special medical savings account. Receive yearly deposits into your account. It is called "consumer directed healthcare." We deposit money into your account, and you decide what healthcare services to spend it on. Unlike insurance company directed healthcare, there are no provider networks, no prior authorizations or controlled referrals. Once you reach your plan deductible, Lasso pays 100% of your Medicare-covered expenses. 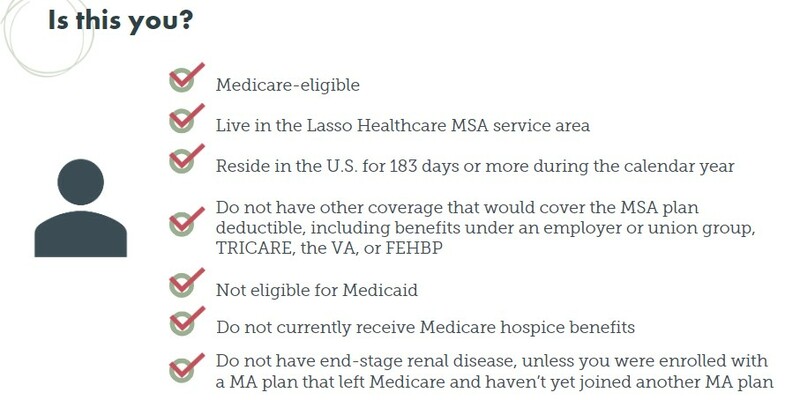 What Do People Like Most About Lasso Medicare Advantage MSA Plans? What is a Medicare Medical Savings Account (MSA)? Medicare Caddy, LLC takes great care to research the information provided to ensure that it is accurate and current. Nonetheless, the content is not intended to provide tax, legal, accounting, financial, or professional advice, and readers are advised to seek out qualified professionals that provide advice on these issues for specific client circumstances. In addition, we cannot guarantee that the information on this website has not been outdated or otherwise rendered incorrect by subsequent new research, legislation, or other changes in law or binding guidance. Medicare Caddy, LLC, or its Principals, shall not have any liability or responsibility to any individual or entity with respect to losses or damages caused or alleged to be caused, directly or indirectly, by the information contained on this website. In addition, any advice, articles, or commentary included on the site or in any newsletters do not constitute a tax opinion and are not intended or written to be used, nor can they be used, by any taxpayer for the purpose of avoiding penalties that may be imposed on the taxpayer. © Copyright 2019 Medicare Caddy. All rights reserved.